America’s classmate, William, goes to Kentucky to preach abolition to churches that condone slavery. America and William find themselves in the center of the approaching storm sweeping the nation and may not make it home to Ohio or live through the struggle. Join Tamera at the Christian Fiction Lovers American HIstoricals FB Party on Monday, January 28 at this link. Meet the Ladies of Oberlin, the causes they’re willing to fight for, and the men who capture their hearts. “Red Sky Over America tackles the most turbulent time in history with thorough research and fascinating characters. Tamera Lynn Kraft has woven a tale about the evils of slavery that should never be forgotten.” — Mary Ellis, author of The Quaker and the Rebel, The Lady and the Officer, and The Last Heiress. Join Tamera at the Celebrating 2018 Christian Fiction Releases FB Party on Dec. 29 at this link. So it’s started. Everyone is going on Facebook telling why they hate Christmas, don’t celebrate Christmas, don’t decorate for Christmas because such and such happened or because it is too commercial. I’m not saying you have to go into debt or buy a lot of things. Celebrate the way you decide is best. I celebrate because of one thing that happened, whether or not it happened on Dec. 25. I celebrate because Jesus Christ, my Lord and Savior came to Earth and was born to die for my sins, and to rise again. Celebrate how you like but no humbugs around me please. So I leave you with this quote from “A Christmas Carol”. During colonial times, John and Anna settle in an Ohio village to become Moravian missionaries to the Lenape. When John is called away two days before Christmas to help at another settlement, he promises he’ll be back by Christmas Day. When he doesn’t show up, Anna works hard to not fear the worst while she provides her children with a traditional Moravian Christmas. Through it all, she discovers a Christmas promise that will give her the peace she craves. Join Tamera at the Christian Fiction Lovers Christmas FB Party at this link. Thanksgiving is coming soon. 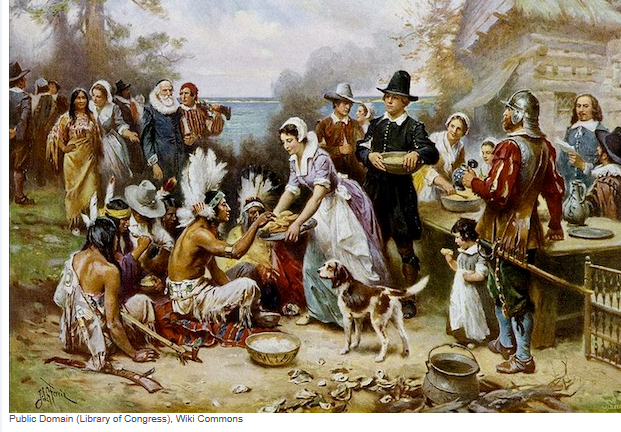 There are many facts about America’s spiritual heritage ingrained in the Pilgrims and Puritans. These are some of the facts that children are not taught in school. Most children are taught that pilgrims came to America to flee religious persecution. That’s not exactly true. Pilgrims and Puritans were persecuted for believing that Christians could have a personal relationship with Jesus separate from the Church of England. But they traveled to Holland to flee the persecution, not America. Pilgrims and Puritans were not the same. Pilgrims were separatists who believed they should separate themselves for the Church of England and the world systems. Puritans believed in working within the system. When they came to America, Puritans wished to set up the government so that religious freedom of expression would be established. Pilgrims wanted freedom of religion so they were free to worship without fear of persecution. Both Pilgrims and Puritans wanted freedom of religion to protect the church from the government, not to protect the government from the church. Many schools teach that Thanksgiving was a secular celebration. But letters written by the Pilgrims tell a different story. God was such a part of their everyday life that they included God in everything. One such letter states that Thanksgiving was a celebration called so that “God be praised” for what He had brought them through. John Winthrop called New England a City on a Hill in one of his sermon. He, as well as many other Puritans and Pilgrims, believed they had made a covenant with God to be a new nation that was a model of Christianity to the world. William Bradford believed that America was called to spread the gospel to the world. Since the Pilgrims and Puritans came to America, the United States of America has sent missionaries to more nations and more remote places in the world than any other nation on Earth. Could it be they were right?